My paintings are inspired by childhood, nature and psychology. I believe that art means reaching for the unknown, for answer embedded in these three spaces. Therefore, during creating my works, I'm not afraid of using custom, unusual techniques. 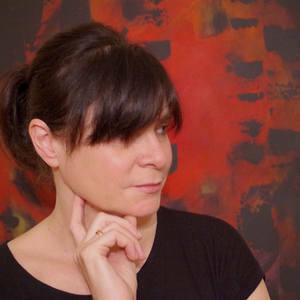 As a painter I'm searching for balance between signifiant and signifié: form, expression, narration, paint, canvas and idea. I'm fascinated by abstraction but I try to reconcile this approach with traditional pictorial themes. Since always I love watercolor paintings, with them I can express my past and my everyday. Every day is a chance to create something interesting and new, but it starts ordinary: with cup of warm tea, solitude and clean canvas.